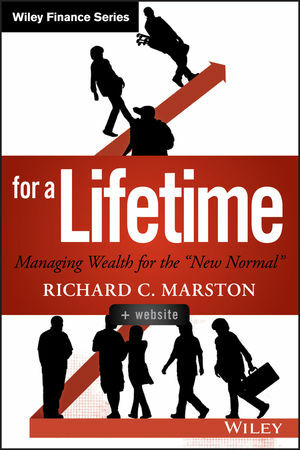 Investing for a Lifetime: Managing Wealth for the ""New Normal""
RICHARD C. MARSTON is the James R.F. Guy Professor of Finance at the Wharton School of the University of Pennsylvania. A graduate of Yale College and MIT, where he received his PhD, Marston was also a Rhodes Scholar at Oxford University. He has taught asset allocation for over twenty years in the CIMA Program sponsored by the Investment Management Consultants Association. In 2014 he received IMCA's Matthew McArthur Award for outstanding contributions to investment management. Since 1999, he has been Academic Director of the Private Wealth Management Program, a week-long program for ultra-high net worth investors. Marston has lectured on investments throughout the United States and in over a dozen foreign countries. He is the author of numerous articles and books, including his most recent book, Portfolio Design (Wiley, 2011).